The Indian Pharmaceutical Alliance (IPA), an umbrella body of domestic generic drug makers, is preparing data integrity guidelines for companies that have come under fire from the US Food and Drugs Administration (USFDA). The association also plans to measure and benchmark quality of Indian companies with global peers and track its progress. This was announced at an IPA event in Mumbai on Tuesday, attended by honchos of the pharma industry, including Sun Pharma Managing Director (MD) Dilip Shanghvi, Dr Reddy’s Laboratories Chairman Satish Reddy, Cadila Chairman Pankaj Patel, Lupin MD Nilesh Gupta. The initiative is being carried out in the backdrop of the crisis impacting the pharma industry in the country and almost all major companies are under regulatory glare. There are other developments happening on the ground to improve quality and compliance. Drug makers including Zydus Cadila, Torrent and Cipla are focusing on automation in manufacturing, building talent pool and setting up quality cells in plants. Sun Pharmaceuticals is setting up an institute in Vadodara to train its staff on quality management, the company’s Managing Director Dilip Shanghvi said. Cipla is encouraging staff at its plants to report issues or “pain points” in an open manner for easier resolution of issues, Chief Executive Officer Subhanu Saxena said. 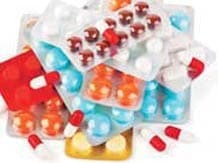 While India has emerged as a powerhouse of the generic pharma industry, supplying a third of medicines to the US and a quarter to the UK, manufacturing units in the country have come under the scanner for violations of good manufacturing practices. The slippages have resulted in warning letters from drug regulators, product withdrawals and import alerts for some companies. “We have been in touch with the USFDA for the past year and are discussing how the industry and regulators can work together to ensure supply of quality products,” said IPA Secretary General D G Shah. IPA roped in consultancy firm McKinsey & Company to help prepare data integrity guidelines and suggest measures to improve quality across the sector. “The key focus area for Indian companies is establishing data management and documentation. The priority for companies is to put in place robust investigation and corrective and preventive action plans,” said Vikas Bhadoria, director, McKinsey. On Tuesday heads of drug majors and drug regulators from India, Britain and Europe met to discuss various issues to improve quality standards and compliance. Thomas Cosgrove, USFDA director in charge of compliance suggested that Indian companies that received warning letters carry out comprehensive evaluation and put in place remediation strategy. “Review standard operating procedures and contract agreements and do not make scapegoats of junior employees,” Cosgrove said. While assessing product quality, US regulators check whether drug makers follow laid down manufacturing procedures and maintain data of all activities. While products may have been found to be safe, failure to follow procedures or lack of data management has been cited in warning letters.